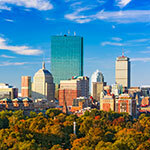 Whatever you’re looking for in a vacation rental, Massachusetts has many options: year-round hotels, timeshares, townhomes, cottages, condos, studios, suites, and apartments with lots of room, privacy, comforts and unlimited recreational activity. Families, couples, and groups can pick a mountain, Oceanside, or historic setting and find a home-away-from-home getaway with every pleasure. From Stockbridge to Boston and north and south to Cape Ann and Cape Cod you’ll find one, two- and three-bedroom units some with multiple levels, spas and hot tubs, fully equipped kitchens, living and dining areas, sun decks and patios, fireplaces, televisions, and much more. 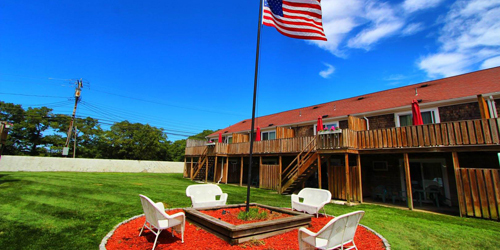 Vacation rentals and time shares are yours at Brant Point Courtyard. One bedroom, one and two floor units, cottages and townhomes provide every amenity you’ll need. Fully stocked kitchen with dishwasher; living room; 1,11/2, or 2 baths; bath and bed linens; on site free laundry; gas grills; family areas; and a favorite of island visitors; an outdoor shower. Some units may also have hardwood floors, whirlpool tubs, decks, patios, and fireplaces. Perfectly positioned between Nantucket town and great beaches and private enough for peace and quiet, Brant Point Courtyard has the feel of a hotel and the comforts of a more relaxed vacation style. Shopping, dining, horseback riding, hiking and sightseeing along historic trails and at historic sites offers our visitors the very best in Nantucket charm and adventure. Boasting privacy and luxury in a vacation rental, here’s comfortable and spacious units set on a one-third acre lot featuring a spacious sun deck or patio. Resort amenities include an indoor pool, BBQ/picnic area, children’s play area, tennis, basketball, playground, game room, shuffleboard, wireless internet and laundry facility. Step into your own 1,2, or 3 bedroom unit and you’ll find a full kitchen, cable TV and DVD player, living room, TV room, Jacuzzi tub (except for one bedroom units), and central air. A day out brings you to the Atlantic Ocean where you’ll be able to sail, charter a boat, or enjoy a fishing or whale watching excursion. You’re on the southern coast of Cape Cod, just a short tack from Nantucket Sound and South Cape Beach. 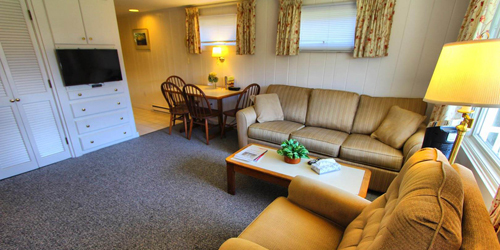 Vacation in comfort when you book one of the cozy condo units at Seawinds II in Dennisport, a charming village centrally located on Cape Cod. One- and two-bedroom units come with kitchens, dining tables, queen beds and queen-bed pull-out sofas, gas fireplaces and access to a nearby sister resort’s indoor and outdoor pools, whirlpool and fitness center. A private sandy beach is but steps away from Seawinds, perfect for frolicking in the bay or finally finishing that novel. 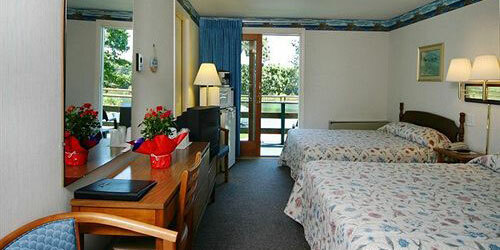 The resort is a short drive to whale-watch tours, harbor cruises, galleries, museums and great shopping. Or, stroll the dramatic ocean beaches of the National Seashore, bike the scenic Cape Cod Rail Trail, catch a concert or theater performance. Ninety comfortably appointed one and two bedroom vacation rentals with a stocked, full-sized kitchen, queen sized beds, two full bathrooms, and all your linens and paper goods are here on Cape Cod’s bucolic south coast. This is a bonanza of family fun and great amenities including mini golf, sand volleyball, horseshoes and shuffleboard and more for the kids. Two large pools, hot tub, exercise room and two tennis courts for all. Just five miles from Nantucket Sound between Falmouth and Hyannis you’re near South Cape Beach, shopping, art galleries and every kind of adventure. Local marinas provide equipment rentals and fishing charters. Take a day trip to Martha’s Vineyard or Nantucket, or just sit down and have your way with Cape Cod’s best lobster roll. 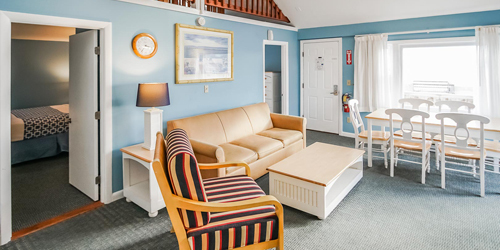 The charming working harbor village of Vineyard Haven is the ideal spot for a vacation getaway, and Harbor Landing, a timeshare resort, has a variety of rental units for those seeking a combination of privacy and access to the island’s many delights. 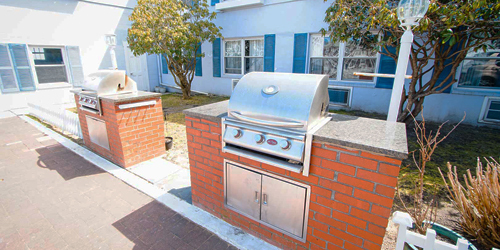 Rental options range from efficiency units to double suites, and amenities include a fully equipped common kitchen, a sun deck with perfect sunset vistas and harbor views, a recreation room and a patio (great for cookouts). The resort’s central location makes it a convenient launching site for Vineyard adventures from swimming, boating, horseback riding and biking to dining and nightlife. Watch the sunset over West Chop Lighthouse, explore the village’s shops, galleries and studios. 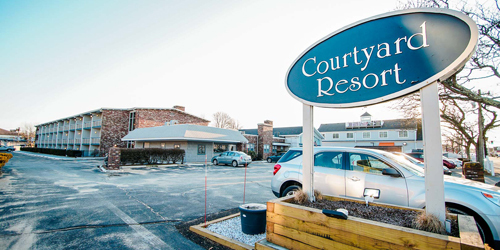 Cape Cod beckons when you stay at the centrally located Courtyard Resort smack dab in the middle of bustling Hyannis. Vacation in style in these great condo units, with kitchen and dining areas (or maybe you want to grill outside in the courtyard). The resort includes an indoor pool, whirlpool, sauna and onsite parking. You can walk to the ferry docks and before you know it you’re on Martha’s Vineyard or Nantucket. But there’s plenty to do in Hyannis, with its museums, art galleries, boutiques, variety of restaurants, mini golf and entertainment venues. Or, drive to lively Craigville Beach or to the Lower Cape’s National Seashore and Cape Cod Rail Trail. Tour the Cape Cod Potato Chip factory or the Maritime Museum. So much to see and do! Here is a unique alternative to the contemporary Cape Cod hotel. Enjoy your own vacation rental in a historic residential community featuring four fully restored 18th century sea captain's houses and two modern buildings offering traditional furnishings and contemporary amenities. Choices include parlor rooms and one-bedroom residences with kitchen facilities, cookware and dishware; a loft studio and an eight bedroom/eight bathroom residence for weekly vacation rental. There are also one-bedroom extended stay residences on site. All guest rooms feature private bath and Wi-Fi. Enjoy the fitness center and health club, indoor and outdoor pools, saunas, lawn games and umbrella. Walk to Falmouth Village. Visit nearby Plymouth, Hyannis, and Provincetown, whale watch from May through October. Relax on the Cape in comfort and style! The style and amenities in a resort and the comforts of home in your own condominium await your visit to Cape Winds. Historic Hyannis is here with great shopping and waterside eateries, fishing trips and day cruises, the Cape Cod Melody Tent and JFK Museum. One and two bedroom units all with patio or deck come with king or queen-size beds, living and dining areas, fully equipped kitchens, 1.5 -2 baths and complimentary Wifi. Some units feature two levels with a spiral staircase leading to the living and dining areas. Enjoy the fitness center and clubhouse with fireplace, heated indoor pool and whirlpool spa, picnic area, volleyball, horseshoes and shuffleboard. Whenever you arrive, Cape Winds professional staff will ensure you get the best service and value for your vacation dollar. Specifically designated for timesharing or rental purposes, this scenic resort is perfect for that home away from home vacation. 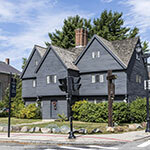 The Berkshire Hills are alive with music, history, great food, museums. Back at home you’ll find indoor and outdoor pools, an exercise room with hot tub and sauna, tennis, basketball, rowboats and canoes, and miles of trails for walking, hiking, or cross country skiing. The resort sits on 223 secluded acres framed by towering pine trees, breathtaking mountains and its picturesque pond. One and two bedroom condominiums feature master bathroom with Jacuzzi, a fully equipped kitchen, dining area, living area, deck, fireplace, television and stereo. The library, computer room, and an assortment of games, puzzles and outdoor sporting equipment help to complete the picture. 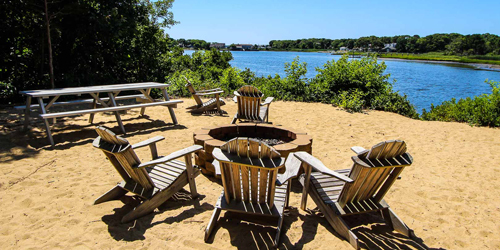 Finding a vacation rental in Sandwich, MA, on Cape Cod, through Airbnb and Sand Dollar Realty will place you in the heart of one of the most peaceful and pretty sections of this glorious peninsula. Rentals lean toward single-family houses and cottages, many perched above dunes with sweeping views and short walks to the shore of Cape Cod Bay. Roomy and comfortable for couples, families, or groups. Sandwich is at the landward end of the Cape, near the Cape Cod Canal, but an easy drive from the more-remote towns and beaches of the Cape Cod National Seashore. Sandwich is loved for its long, marsh-straddling boardwalk stretching to a magnificent beach; its casual and formal dining, and its nearness to the Old King’s Highway (Route 6A), known for antique shops and gorgeous views. Put this popular resort down on your list of great Cape Cod escapes any time of year. Set across Vineyard Sound and Falmouth Heights Beach, you and your friends and family will find more than enough space and comfort to keep you in fine fettle. 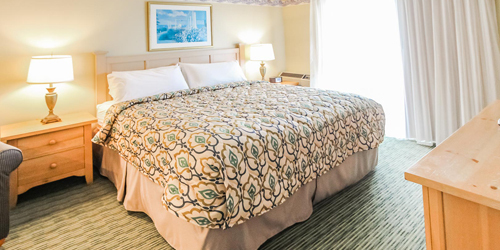 The resort offers studios and luxurious one and two bedroom oceanfront suites with in-room whirlpool tubs and fireplaces in every master bedroom. Each unit has a deck or balcony depending on the level, and there is a living room and efficiency kitchen with dishware and cooking utensils. You’re free to roam the fabulous Falmouth scene with every popular Cape Cod activity and attraction at your fingertips from quaint shops, galleries, and taverns, to great seafood, year round theater and entertainment. Nantucket Is One of the world's Most Captivating Destinations. Nantucket Island Resorts welcomes you to this unforgettable island by providing stunning locations and accommodations, unparalleled service, gracious amenities, award-winning dining and a hundred activities. We are a collection of premier hotels and a marina on Nantucket, including The Wauwinet, White Elephant, White Elephant Village | Residences & Inn, Jared Coffin House, The Cottages & Lofts at the Boat Basin and Nantucket Boat Basin. Each offers a unique appeal for vacations, corporate retreats and weddings. We provide customized service to meet your every need. Air and ferry service make it easy to get from Hyannis or Boston’s Logan Airport in just an hour or less. In season, you can fly from New York, Westchester, Newark, Washington, Providence and Philadelphia directly or through Boston. The Cove at Yarmouth is Cape Cod’s largest year-round resort. 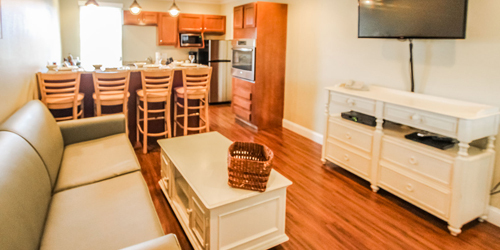 Affordable vacation rentals in 229 spacious suites and townhouses include living room, master bath, wet bar, refrigerator, appliances, two LCD TVs, stereo and DVD. Two pools and a fully equipped fitness facility and spa to keep you active. Washers/dryers and nearby dry cleaner and convenience store to keep you supplied and looking your best. There’s racquetball, volleyball, indoor and outdoor tennis and a children's play area. Dine by candlelight on-site and enjoy exceptional Italian Cuisine, specialty dishes and family priced meals. Located near great beaches, golf, sailing, fishing, biking and shopping in the Cape’s quaint villages. 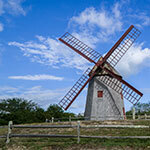 Sample the local "chowdah" and take a day tip to Martha’s Vineyard and Nantucket. A summer with a private beach on the ocean, two pools, great shopping, museums, amusement rides, ice cream, great seafood and golf is a fun filled summer. And it’s all yours at this year round resort on the shores of Nantucket Sound. 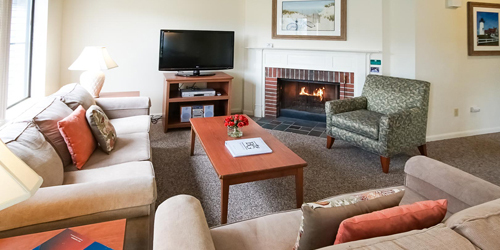 Vacation rentals including studios and one & two bedroom suites feature ocean views, a gas fireplace, efficiency-sized kitchen and wireless internet service. A host of great children’s activities are available all summer long and the whole family will enjoy the local area and its nearby activities. Walk out your door to the sun and 400 feet of beach that make for a perfect mid-Cape escape. Indoor and outdoor pools, a fitness center and a seven-hole putting green are for when you tire of the rest. 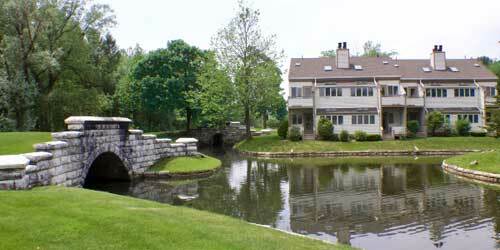 Brewster Green is 17 acres of ideal vacation rental property. Amenities include an exercise room, indoor and outdoor pools, tennis and racquetball courts, shuffleboard and volleyball. 56 two and three bedroom condominiums range in size from 1,100 to 1,600 square feet, each tastefully decorated and with full kitchen, dining room, living room with fireplace, flat screen TV with VCR/DVD players and CD stereo systems, one to two bathrooms, a master bedroom with king size bed and washer and dryer. 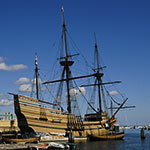 Nearby Plimoth and Heritage Plantations, the Pilgrim Monument and myriad museums add living history to your stay. There are villages seaside and bayside with great shopping and seafood, an Audubon center, biking and hiking trails, whale watching and the beach along the Cape Cod National Seashore. Vacation residences at the White Elephant Hotel and nearby White Elephant Village on glorious Nantucket provide guests with the sensation of being at home and on a luxurious but laid-back vacation at the same time. Whether you choose a spacious garden cottage, a chic in-town loft or a luxury one-, two- or three-bedroom residence, you will feel like you have stepped into the pages of a beautiful-homes magazine. Each type of artfully appointed accommodation has a unique floor plan, custom furniture and island-inspired artwork. From your home away from home, you can head into town for some boutique shopping, book a harbor cruise, dine in style or relax by the pool – or by your own fireside. This popular vacation resort overlooks fabulous Falmouth Harbor, home to the island ferries, charter fishing boats, luxurious yachts, waterfront dining and the shops and activities of the busy downtown. 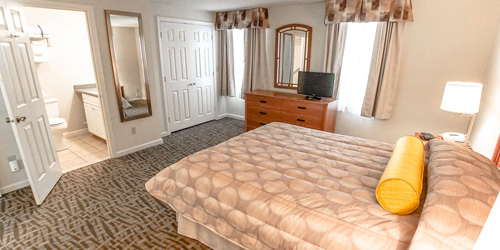 Choose from a variety of rental accommodations: spacious hotel rooms, renovated suites with a sitting area, and two-room suites with the option of adjoining to a second bedroom. All offer a refrigerator and microwave and some have kitchenettes and an outdoor tanning deck for gorgeous harbor views. You came to the Cape to relax and explore and it’s all at hand at this perfect location from which to set off and return. You’re just minutes from the beach or just sit by the pool and watch the boats go by. This is a unique Cape Cod vacation you won’t forget. Cape Cod vacation rental on private ocean inlet. 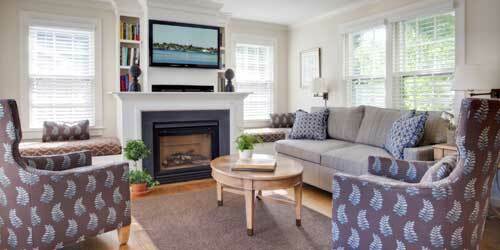 This cozy vacation rental is located in a wooded setting with spacious lawns on a salt water cove in Falmouth. Within easy reach from Boston and Providence you’re close to quaint villages and major attractions including Plymouth, Nantucket and Martha’s Vineyard, the Woods Hole Oceanographic Institute, whale watches, and some of the finest golf courses on Cape Cod. 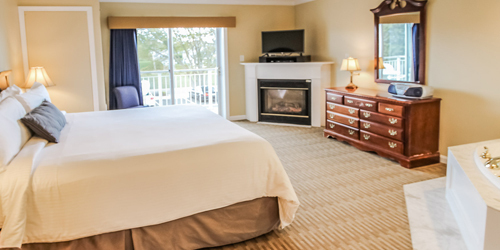 All non smoking rooms feature a balcony or patio overlooking the water, heat and air conditioning, private bath with tub and shower, cable TV, coffee maker, and free high-speed wireless Internet access. Choose from beachside lodgings, a beachside studio, or the magnificent three bedroom cottage. There’s a heated outdoor pool, kiddie pool and barbecue grills, plus a private boat ramp and dock. 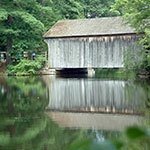 At the junction of the Atlantic and the Great Pond in Falmouth MA and just north of Woods Hole you are surrounded by some of the most scenic waterways on Cape Cod. Relax in studios and 1 and 2 air conditioned bedroom suites all with private decks, facilities for cooking, TV with VCR and whirlpool spa. An indoor and outdoor pool is just a step away and so is Bocce, shuffleboard and tennis. The rest of Cape Cod lies just outside your door and that means sandy beaches, great shopping and the history of the sea told in museums, on the street or in cozy cafes. 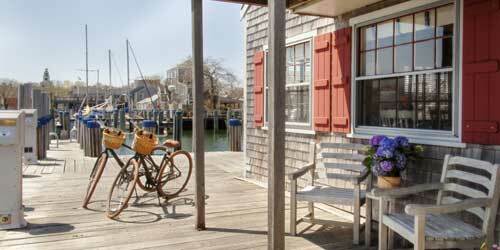 Just a short ferry ride away is Martha’s Vineyard and Nantucket. 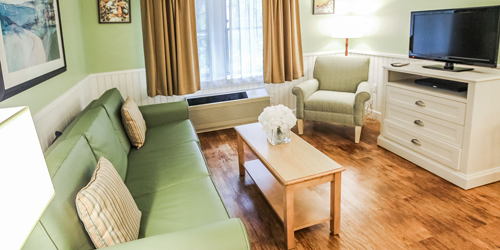 Open year round the Inn is fully wheelchair accessible. 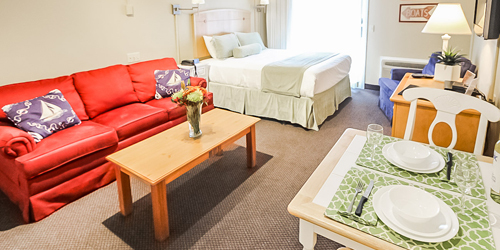 This summer, rent your vacation studio, one bedroom suite, private entrance townhouse studio or suite, or a deluxe suite with in-room whirlpools in the celebrated mid-Cape area. You’ll be minutes from beautiful beaches, historic attractions and quaint villages like Provincetown, Hyannis, and Chatham with their restaurants, theatres, nightlife, and family attractions. Each unit is equipped with a refrigerator, microwave and tableware. Included are air conditioning, TV/DVD's and Wi-Fi. Couples, friends and families will find this fun-filled summer vacation destination a haven for comfort and relaxation. There are indoor and outdoor pools, a wading pool for the kids, an arcade, racquetball and basketball courts, a health center, cook-out/picnic facilities, and seasonal activity programs. 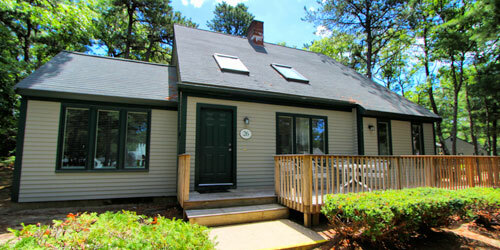 A sweet spot on Cape Cod and perfect for a family vacation, weekend escape or mid-week getaway. 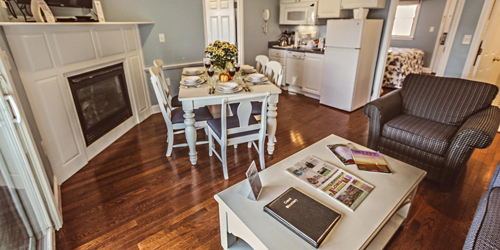 On the banks of Parker's River in South Yarmouth, are 44 studio, one and 2 bedroom units with all the amenities including refrigerator, microwave, coffee maker, cable TV and wireless Internet access. There’s a year-round indoor pool and fitness center, washers and dryers and a community kitchen. A game room with pool table, barbeque grills and picnic tables and an outdoor play area make it fun for any age. Centrally located and within an easy drive of Cape Cod’s 15 distinctive towns there’s shopping, great food and entertainment close at hand. You’ll also find the finest beaches and an endless array of land and sea activities along Cape Cod National Seashore.